When shooting stars and the Milky Way in particular, you can use the so called 500 Rule to calculate the longest exposure time (shutter speed) that still allows you to avoid star trails. Since our planet spins around its axis, we move relative to the stars. As a consequence, keeping the shutter open for too long will result in stars trailing in your pictures, as opposed to looking like dots. While star trails are sometimes a desirable feature, more often than not photographers try to avoid them and prefer to capture well-defined, sharp stars. If stars were visible during the day, trailing would not be an issue, as we could always use a fast enough shutter speed to avoid them. However, we can only photograph stars at night, making long exposures a necessity if we are to avoid underexposing our images or, worst case scenario, even ending up with a completely black shot. This is when the 500 Rule comes in handy, as it lets us calculate the maximum number of seconds we can keep the shutter open before star trails will begin to appear. 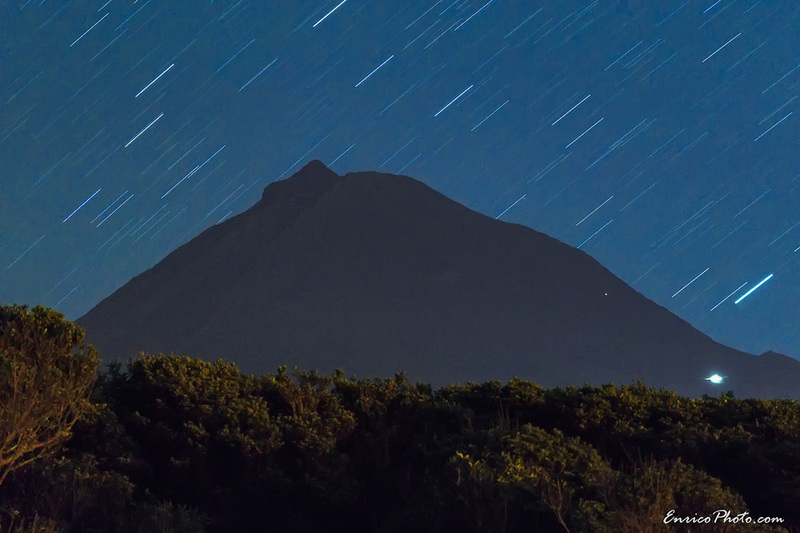 In case you are new to night photography and wondering what star trails actually look like, I took for you an almost 4-minute long exposure of Mount Pico at night, which you can see below. Here is how the 500 Rule works. Imagine you are shooting at a focal length of 16mm => Max. shutter speed = 500 / 16 = 31.25 seconds. In other words, you can shoot a 31 second exposure and still have sharp stars. Any longer than that and star trails will begin to appear. Type 1: those who never heard about the 500 Rule (well, some more do now!). Type 2: those who know about the 500 Rule, but they do not know how to apply it correctly (believe me, there are still lots of them out there). Type 3: those who know exactly how to apply the 500 rule. If you are a Type 3 photographer, I guess there is nothing here for you to learn, unless you think you know everything but, in fact, you do not. Keep reading to find it out! If you are a Type 1 photographer and you have a full frame camera, Expression 1 (see above) is all you need. If you are an APS-C shooter, like I am, or a Micro 4/3 shooter, you are more likely to be a Type 2 photographer, because Expression 1 is what you are likely to find in most websites and texts, except it does not work as is for crop sensor cameras. The crop factor for APS-C sensors is 1.5, with the notable exception of Canon, for which the crop factor is 1.6 (i.e. Canon makes slightly smaller APS-C sensors). The crop factor for Micro 4/3 is 2. For full frame cameras, the crop factor is 1, which means the sensor is not cropped. I guess this is why we call it FULL frame! 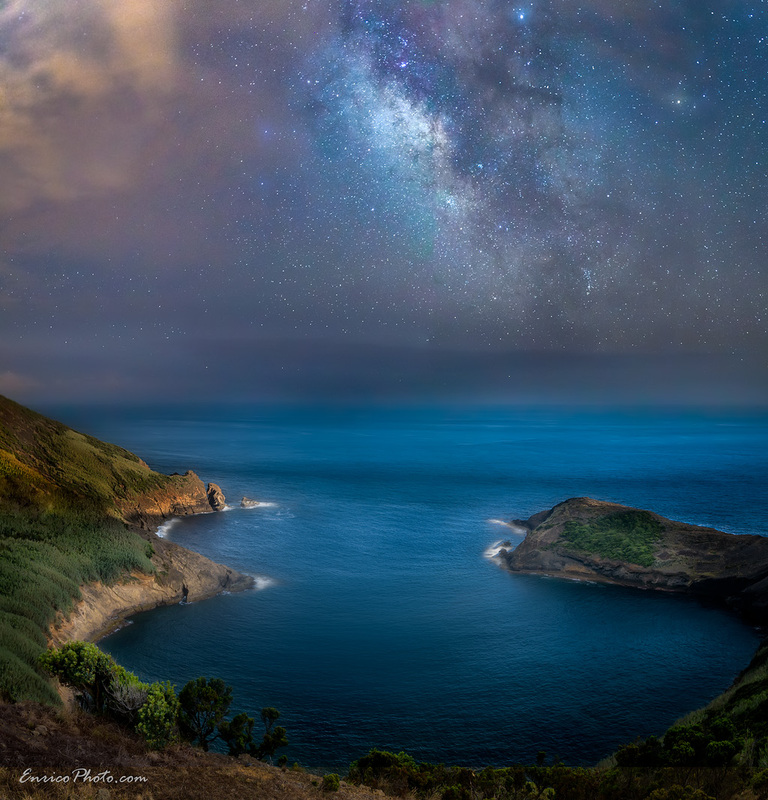 As a further example, I will show you how I calculated the shutter speed for my Milky Way shot of the Bay of Caldeirinhas (Faial Island, Azores). My camera is a Sony A77ii (ILCA-77M2) and has a 1.5 crop factor. My lens of choice was a Sigma 18-35mm F1.8 DC HSM Art and I took the shot at 18mm. The important fact here is that lens manufacturers always indicate focal length as a full frame equivalent value. Therefore, 18mm on my Sony APS-C camera is not as wide as it would be on a full frame camera and corresponds to 18mm x 1.5 = 27mm. It is absolutely crucial to take this into account when applying the 500 Rule to crop sensor cameras. To be conservative, I rounded the shutter speed to 18 seconds rather than 19. Failing to take the crop factor into account would have led me to think I could shoot a 27 second exposure and still get no star trails (500 / 18 = 27.7, rounded to 27 to be conservative). No way! Please keep in mind that the 500 Rule is a rule of thumb. That said, it does work very well. You probably noticed by now that the maximum shutter speed calculated with the 500 Rule is solely a function of the focal length. In particular, it is not affected by the aperture and the ISO. While this is absolutely true, not all combinations of apertures and ISO will produce an acceptable Milky Way image. In most cases, your camera will struggle to gather enough light and you will find yourself cranking the ISO more than you wanted to, along with shooting wide open (lowest possible F-stop for our lens). Remember: you cannot increase the shutter speed any further or you will get star trails. Hence, aperture and ISO are the only two variables you can play with in the attempt to produce a correctly exposed image. This is the main reason why I purchased the Sigma 18-35mm F1.8, which is arguably the best lens ever made for APS-C cameras. It lets me shoot at a maximum aperture of... 2.7! Why 2.7 and not 1.8? Confused?? You are not alone. This is indeed the single, most misunderstood truth about APS-C and Micro 4/3 camera: with crop sensors, you have to multiply both the focal length AND the aperture by the crop factor. In this case: 1.8 x 1.5 = 2.7. To learn more about it and understand why shooting the Milky Way with no star trails is one of the few fields of photography where my gear (as an APS-c shooter) is actually holding me back, you can read my post on why I do not need a full frame camera. That is pretty much it, ragazzi! If you enjoyed reading, please pick a time to like and share. 5+19 = The captcha value you provided is incorrect.